Can you believe that Windows XP was first launched in 2001 when Atomic Kitten were No.1 and Tony Blair won his second term in office. 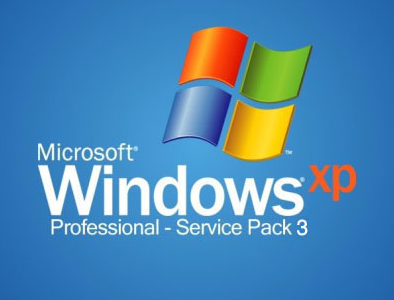 XP has been the cornerstone of many of our clients, and as an IT Support Company we have learned to be comfortable and familiar with this software and its foibles. The last major development of this software was with Service Pack 3 in 2008 (5 years ago!) and it is still prevalent in many businesses today, 12 years after launch. The same can also be said for Microsoft’s Server operating systems (Small Business Server 2003) and Exchange which generally handles business e-mail. Many organisations are still running Exchange Server 2003 which makes this software 10 years old at present. Microsoft has taken the view that this legacy software cannot be legitimately be supported by their latest software versions and operating systems, and that is going to force businesses to examine their current setup if it includes SBS 2003. The newer systems have a substantially different architecture. An example of which is that the later versions of operating systems (Windows 8, Small Business Server 2011 and Server 2012) exclusively use 64-bit memory addressing instead of 32-bit. While 32-bits of information can only access 4GB of RAM, a 64-bit machine can, theoretically, access 16EB (Exabytes ) of physical memory, banishing any limits far into the future. This also means that your video cards and other devices will not be stealing usable memory space from the operating system. A massive benefit to your system performance. It is important to be aware of these lifecycles as we have recently had to make short term costly recommendations to customers wishing to make PC/Laptop upgrades to their networks that there are some software implications the latest version of Microsoft Office 2013. This version of Office does not interface with Exchange 2003 which is predominantly found in the operating system of Small Business Server 2003. The solution to this issue is that you either buy an Open License of Microsoft Office 2013 and downgrade it to the 2010 version or upgrade the server which would then come with the latest operating system and a compatible version of Exchange. The first option, albeit a short term solution, does not address the underlying issue that an older server which has reached its end of life needs to be replaced. This will allow you to install and run the non-downgradeable version of Office 2013 which is substantially cheaper. This will put a strain on business IT support whilst upgrades take place. Our next blog will cover our recommendations for planning your IT system changes, if there are any points you would like us to cover, please leave a comment below.